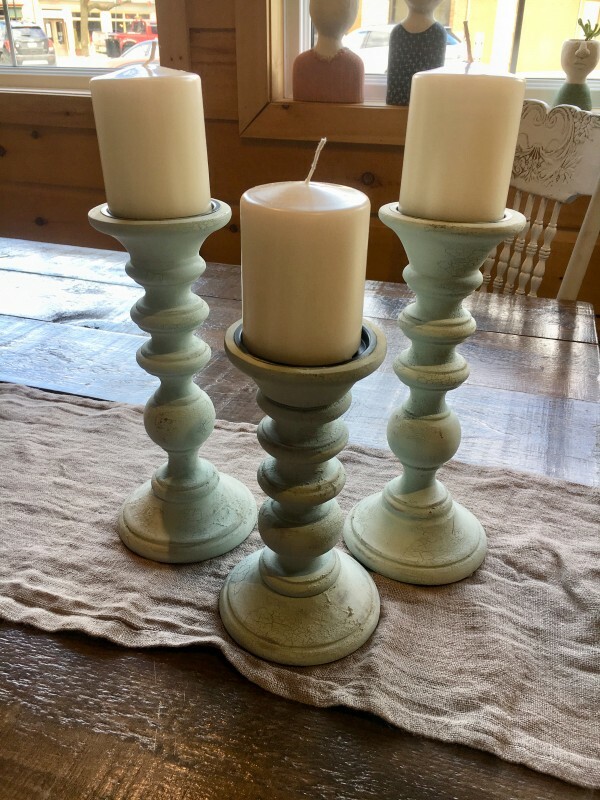 Paint and create your own set of three wooden candlesticks! 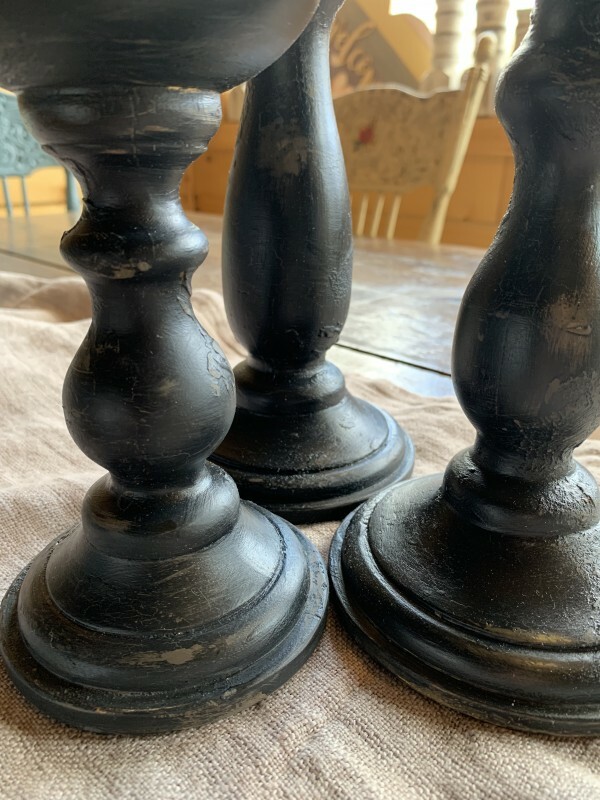 You will learn how to distress small pieces, as well as use the Country Chic Paint specialty products texture powder, glaze, and crackle medium to create a beautiful and unique effect to suit your home. 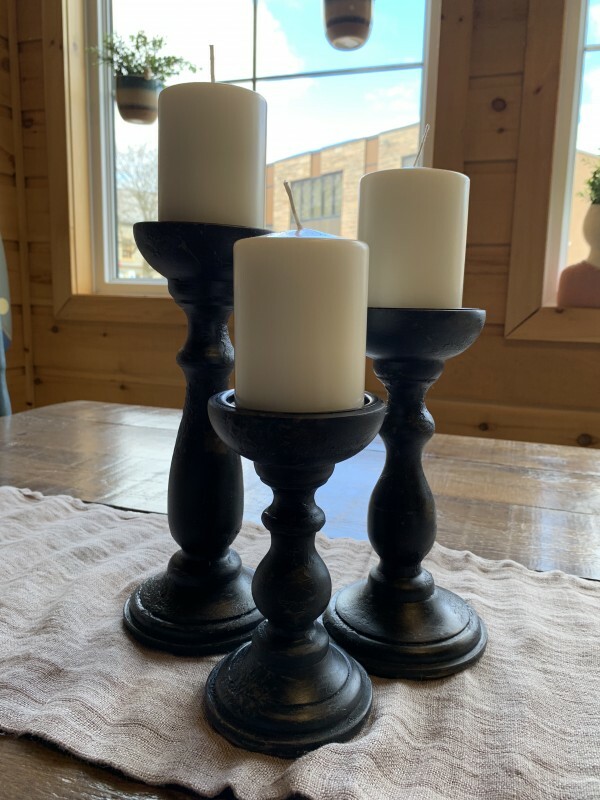 The candlesticks are three different sizes, and have a plastic base at the top for the candle to sit comfortably and burn safely. Heights approximately 11.5", 9.5", and 7.5". If this date does not work, don't worry you now can contact the shop and take advantage of our open studio times.